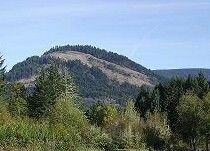 Cerro Gordo, about 6 miles east of Cottage Grove. 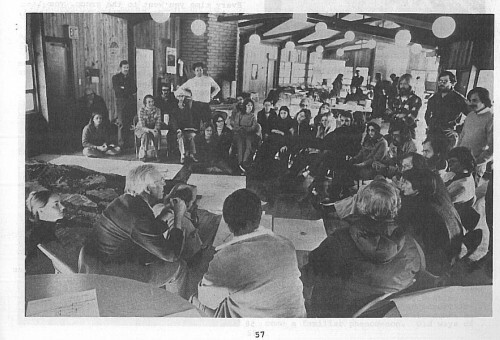 In 1970 a group of idealistic people from around the country joined together with the intention of forming a utopian community. In 1973 they purchased the 1200 acre Cerro Gordo Ranch on Dorena Lake. A core group of 200 families planned to build an eco-topian town on the ranch. The town was to have a population of about 2,000 people, no cars, its own school system and market place. An early planning meeting for the community. The community never really got off the ground. Land use issues, financing and human nature kept the town from becoming a reality. Neighbors opposed the plan. They felt that they already had a pleasant little rural utopia going and did not want a town of 2,000 superimposed on it. 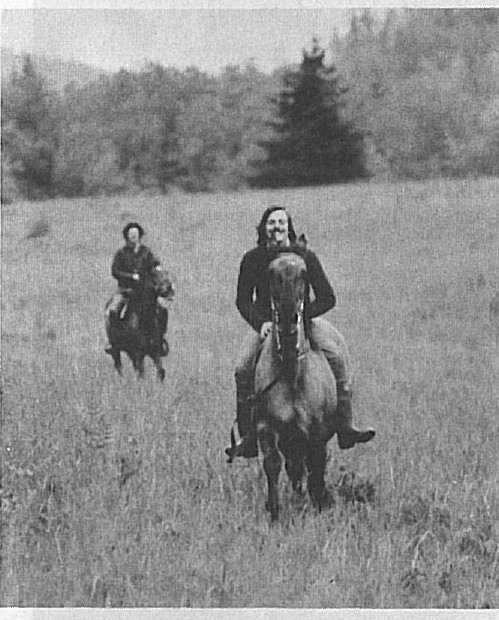 Two original members of the Cerro Gordo Community ride horses on the property. A handful of people moved on to the property and built houses. As the years went by, people started to give up on the idea and drifted away. Some people who moved to the area to join the community stayed in the area and focused their energy and idealism on other projects in Lane County. The community still exists as a legal entity and Cerro Gordo is now a beautiful rural neighborhood of about 15 houses.